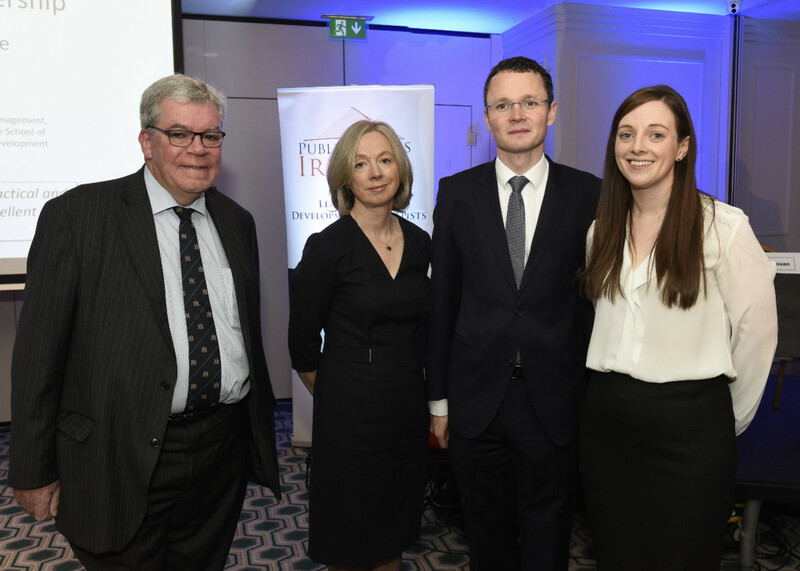 On Thursday 22 November, Public Affairs Ireland welcomed delegates to the O’Callaghan Davenport Hotel for our Annual Public Procurement Conference. PAI are committed to delivering specialist learning and development training to the public sector; our conferences provide our clientele with a forum for receiving updates and developments on industry relevant subjects from expert speakers. Our Annual Public Procurement Conferences are always a popular event, attracting a range of delegates from across the public sector. Patrick McGovern, an independent procurement consultant chaired the event which featured lectures from a host of speakers from a variety of professional backgrounds. Our panel discussed public procurement from many different perspectives; providing delegates with a broad and informative overview of topical public procurement issues. To commence our conference PAI were delighted to welcome Minister Patrick O’Donovan TD., Minister of State for the Department of Finance, Public Expenditure and Reform, with special responsibility for Public Procurement, Open Government and eGovernment. The Ministers speech provided our audience with an excellent overview on public procurement policy. Minster Patrick O’Donovan focussed on the key issues which concern public procurement and the state. In particular, he discussed the importance of supporting SME’s and taking social considerations into account. The Minister examined the importance of taking the following factors into consideration: the environment, people with disabilities, the youth of the country and placing an emphasis on urban renewal. Overall the Minister shared his support for the introduction of E-Procurement and working closely alongside the EU in terms of public procurement. Moving on from public procurement policy, our second speaker of the morning Niamh Hyland, Senior Counsel, looked at public procurement from a litigation standpoint. Niamh Hyland pinpointed the key issues and legal cases that have occurred in 2018 in terms of public procurement. Through the use of several case studies, Niamh Hyland demonstrated the value of recording and retaining public procurement documents to uphold the legal requirement of transparency. To illustrate this point Niamh took the example of the Lancashire Care NHS Foundation Trust vs Lancashire County Council  EWHC1589. This trial demonstrated that while it is not necessary to provide every detail of a procurement process there must be enough detail to provide the rationale for a consensus score. If the contracting authority of a procurement process is unable to explain the awarded scores, then they will not succeed in meeting the most basic of transparency obligations. Through explaining this legal case among others, Niamh effectively brought to light the importance of documenting every procurement process to ensure that transparency is upheld. Our next speaker, Thomas Spoorsman (Deputy Head of Unit, responsible for Public Procurement Strategy, European perspective) provided an insight on public procurement from a European perspective. As the Minster stated in his speech it is in Ireland’s best interests to work alongside Europe to ensure the effectiveness of our public procurement strategy. Thomas Spoorsman provided a practical and informative list of six key priority areas to be taken into consideration for improving public procurement in process. As well as highlighting these key considerations for the improvement of public procurement in action, the speaker also explained the importance of a voluntary ex-ante assessment mechanism for the European Union. The implementation of this mechanism would serve as an exchange of information to ensure that all major public procurement projects are in line with EU regulations. The voluntary ex-ante assessment mechanism would principally apply to the sectors of transport, energy, non-residential construction and ICT. “An Invoice that has been issued, transmitted and received in a structured electronic format which allows for its automatic and electronic processing” European Directive 2014/55/EU. Mr McCormack made it clear that this transformation will have a positive impact, with benefits including decreased costs and administrative work, increased data accuracy and transparency and, it will be sounder environmentally. Mr McCormack discussed how the next step for eInvoice preparation will include looking at the role of the suppliers and service providers to ensure that the switch is implemented and understood along every step of the procurement process. This discussion demonstrated the positive steps forward that this digital implementation project will entail for public procurement at a national and international level. Following a break for coffee and refreshments, Doug McMahon, a Senior Associate in the Technology and Innovation Group at the McCann Fitzgerald Group presented on public procurement in relation to GDPR. Since the implementation of the General Data Protection Regulations in May 2018, every public sector organisation and business must understand and be complaint with these regulations. Doug McMahon’s presentation examined GDPR and its connection with public procurement in relation to two specific areas that these regulations impact: the tender process and commercial contracts. GDPR outlines specific terms on want data can be handled by whom and for how long. In terms of a tender process there are several types of personal data which must be processed; one example that Doug drew attention to was CV’s. As GDPR has been a major legislative change within this past year, Doug McMahon’s talk was pertinent and provided clarity on this topic. John Larkin, the Country Manager of Pagero, our conference sponsors, discussed the essential steps that are necessary to successfully implement an e-Invoice strategy. As this strategy will be a legal obligation by 18 April 2018, the steps as outlined by Mr Larkin were both informative and highly necessary. While Declan McCormack in his discussion of e-Invoicing demonstrated the benefits of its implementation, John Larkin examined e-Invoicing at a practical business level to demonstrate the actions which must be taken to ensure that the switch to e-invoicing runs smoothly at an organisational level. These steps provided an insightful and practical guide for anyone working within public procurement to steer them through the implementation process. To conclude our conference, Finola McCarthy of Ronan Daly Jermyn Law Firm looked at procurement from a public spending perspective. Finola McCarthy noted that the state spends approximately €12 billion on procurement annually. With a figure as significant as this, it is highly important that the process of procurement is handled in accordance with the laws and regulations that govern it. The speaker drew the audience’s attention to the importance of compliance in terms of public procurement. Public procurement must obey not only legal obligations but in addition to that government policy and internal corporate controls and policies. To conclude our conference our panel of expert speakers welcomed delegates to ask them questions on the topics that were discussed. PAI’s Annual Public Procurement Conference provided our attendees with valuable insights into recent updates and developments on public procurement from both a national and international perspective.